FRANKFORT – Unemployment rates fell in all 120 Kentucky counties between March 2014 and March 2015, according to the Kentucky Office of Employment and Training. Alex M. Garvin and Brittany Gibson Wright, in a lawsuit filed in LaRue Circuit Court, claim their rights were violated by Officer Eddie Dockery during an incident on May 25, 2014. LaRue County School Superintendent Samuel D. Sanders entered an Alford plea April 20 in LaRue District Court to a charge of driving while under the influence of alcohol or drugs. Through the Alford plea, Sanders maintains his innocence, but admits the prosecution has enough evidence to prove that he is guilty beyond a reasonable doubt. However, the case is far from over. An appeal is being filed in a higher court. 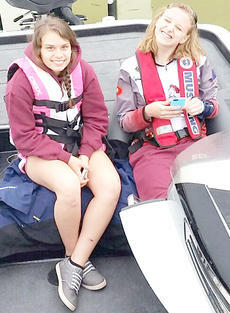 Outdoors columnist Shelton Young was not able to prepare a column for this week’s edition. Young broke his arm and was unable to write a full piece. He did want to remind everyone that the Woodlawn Baptist Church Invitational fishing tournament will be May 16. This year’s event will be on Sportsman’s Lake. Calvary Elementary School fifth-graders Charli Brockman and Ally Mattingly talk about the importance of being proactive, synergizing and putting first things first. Those are three of the seven habits that are part of The Leader in Me program, which has been implemented at Calvary and Glasscock elementary schools during the 2014-15 academic year. Mattingly said her teachers have included the habits throughout the year. 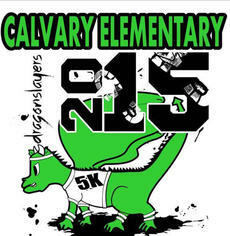 Calvary Elementary is hosting the Dragon Dash 5K to raise money for the Jump Rope for Heart, which supports the American Heart Association. The course will start at Calvary Elementary School (3345 Highway 208, Lebanon), travel to Sportsman’s Lake, and then return to the school, where the finish line will be on the track. Registration is $20 (which includes a t-shirt) or $15 (which does not include a t-shirt). Calvary students who raise $20 for Jump Rope for Heart will have their registration fees waived. 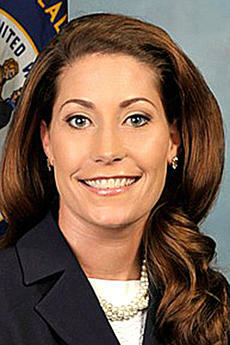 Alison Lundergan Grimes became well known during her 2011 campaign for Kentucky Secretary of State because of the TV ads starring her adorable grandmothers, who urged voters to support their granddaughter. But this campaign is different, as both have since died. Thelma Lundergan McHugh, Grimes paternal grandmother, died in June 2012 while Elsie Case, her maternal grandmother, died just last week, on April 23. Grace Farmer struck out nine batters for the Dodgers, and Amber Farris drove in two runs in the win. 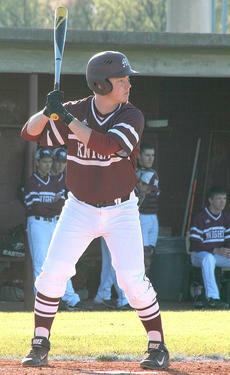 Brooklyn Bland had two hits for the Tigers.